Volvo has started output of the S60 sedan at its new South Carolina plant. BERKELEY COUNTY, South Carolina -- Volvo Cars CEO Hakan Samuelsson warned that the U.S.-China trade dispute could undermine plans to create up to 4,000 more jobs at the automaker's new U.S. plant. "If you have trade barriers and restrictions, we cannot create as many jobs as we are planning to," Samuelsson said on the sidelines of an event celebrating the new facility. The factory is the latest addition to several large-scale manufacturing operations in South Carolina, including a BMW plant, that rely heavily on export sales to support jobs. "We want to export and if suddenly China and Europe have very high barriers, it would be impossible," Samuelsson said. "Then you have to build the cars there. And then all cars will be more expensive, you have to invest more tooling and have every model in every country. That's against all the logic of modern economies that trade with each other." Volvo and its new U.S. factory illustrate the conflicts created by President Donald Trump's proposals to impose tariffs of as much as 25 percent on imported vehicles and auto parts as a way to encourage more U.S. manufacturing and press trading partners to drop tariffs on American goods. Volvo currently imports all the vehicles it sells in the U.S. Rising demand for those imported vehicles helped convince the company, owned by China's Zhejiang Geely Holding Group, to expand its investment in South Carolina to $1.1 billion and make plans to hire about 4,000 workers by the time the new factory reaches full manufacturing capacity. Initially, the Volvo South Carolina plant will build S60 sedans, which currently are imported from Europe or China. Some of the U.S.-built cars will be exported to markets outside the U.S., Volvo executives said. The company has no immediate plans to build another model at the plant, company officials said. But if a decision is made to launch Lynk & Co vehicles in the U.S., building them in South Carolina would be an option, Samuelsson said. The Lynk brand is co-owned by Zhejiang Geely Holding Group and its two automakers, Volvo and Geely Auto. 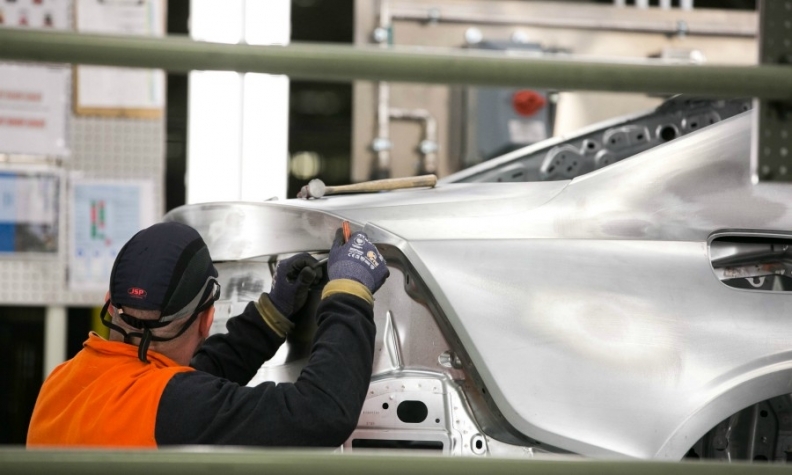 Volvo has hired about 900 workers at the plant. It will need about 1,500 as production ramps up in the fall, said Anders Gustafsson, Volvo's senior vice president for the Americas. "We need to speed up." If the U.S. imposes tariffs on foreign cars, and trading partners retaliate, that could chill Volvo Cars' plans to add jobs, Samuelsson said.